How would you like to boost your Instagram engagement rate? I’m so excited to be sharing with you a simple strategy that I use to increase my Instagram engagement rate. If you’re not using Instagram right now, you are really leaving a lot of money on the table. What do Instagram, Periscope, and Twitter all have in common? They’re MOBILE! How would you like to tap into THAT mobile market? 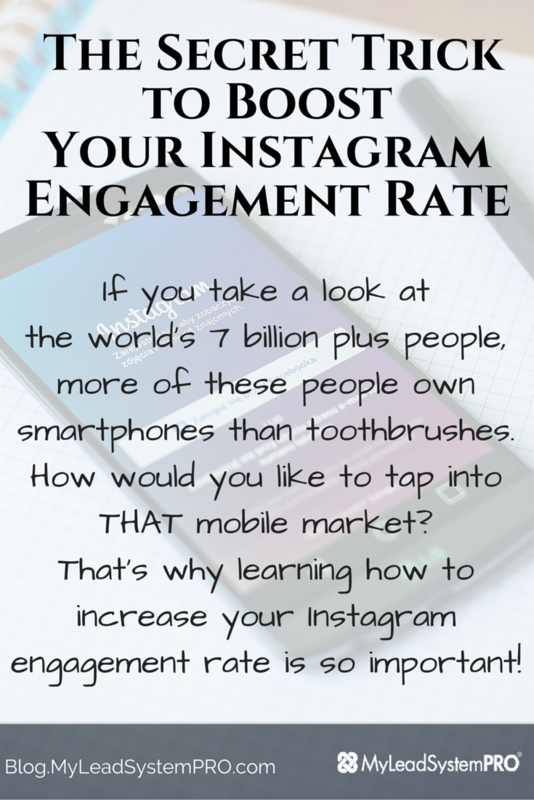 That’s why learning how to increase your Instagram engagement rate is so important! Now you and I both know that leads are the lifeblood for your business. 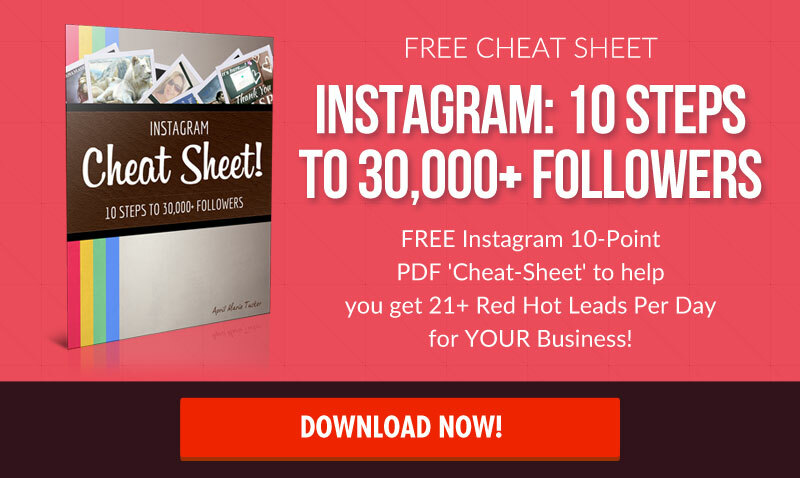 Having a high following on Instagram does not translate to leads. 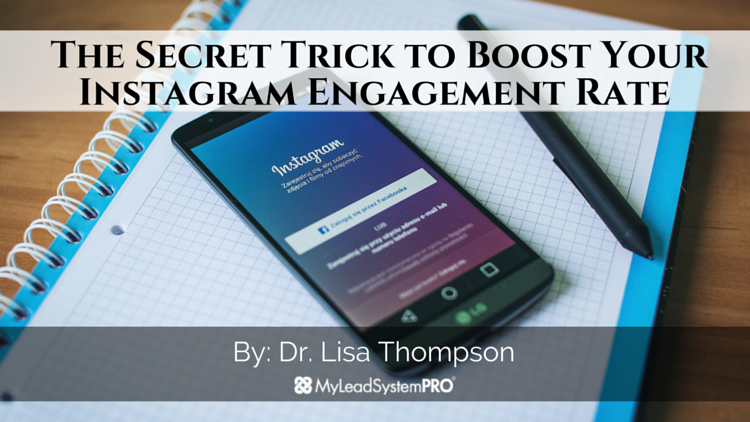 It’s creating a highly ENGAGED following on Instagram that will buy from you over and over again. I first learned this strategy from Instagram marketing expert April Marie Tucker. April is a single mother of three kids who went from broke, struggling cocktail waitress to creating a full time income from home leveraging Instagram. April loves Instagram marketing because she has three very active kids. Instagram is a mobile app that allows her to grow her business while taking her kids on field trips and other activities. Before meeting April I had no idea what Instagram was. 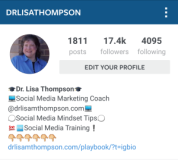 Since meeting April and implementing this technique I was able to grow my following from zero followers to over 17,000 highly ENGAGED followers. I want to let you in on the key to engagment on ANY social media network. People do business with those who they know, like, and trust. People need to see you and hear you. And that is done through VIDEO. On Instagram, you can do a 15 second video! Now, the purpose of this video is to thank them for following you back. You can either use a webcam or your mobile device and record a 15 second video using the script below. Now make sure you smile before AND after you speak. It will totally disarm them! Hi it’s [your name] thanks for the follow! Followed you back. Curious, what inspired you to reach out and connect with me? Looking forward to hearing from you! Whenever a get a new follower I send them this welcome video via direct Instagram message. It’s the private message system on Instagram. Before I send the message I make sure I prequalify my followers first. I will immediately go to their profie to check them out. I will then like and comment on 2-3 images that catch my interest. I will then tag them in the post so I get on their radar. Hey [name] it’s [your name]. Thanks for the follow and I’m following you back! I love your images on Instagram. [make a statement about what you like about their images – BE SINCERE]. Just curious, what inspired you to connect with me? Have an awesome day and we’ll speak soon! This strategy is super cool because the only thing I’m asking from them is to connect. No pitching. When I know why they reached out to me, now I can now tailor the conversation to know how I can help serve them. I spend 15-30 minutes doing this per day and it’s so much fun to do! 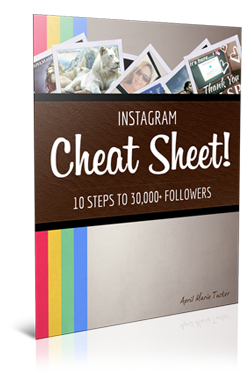 When you do this, you will see your Instagram engagement rate increase. So go out there and get started today! [Success Story Saturday] Since Last Week I Went from a Little Over 100 Followers to 1,000 on Twitter!!! Great post Dr. Lisa. Video is so key. Gotta keep remembering that. Fantastic Guest Post here Lisa, you are amazing! Hope to see more of your content on this blog! I also appreciate the post and can see how it would be beneficial to many with a smart phone. However, there is a vanishingly small cohort who do not own a smart phone (of which I am but one!) who would like to know if this strategy can be used without same? My thanks again for an informative post. Great posy Lisa and thank you. I tried used the video thanks on five people and actually got a lead. Awesome! Thanks for the ideas. These always take strategies to test out. As many do not respond and very skeptical in new people. 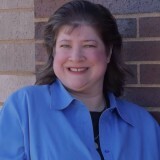 Awesome article Lisa! Giving great tips as usual, this will really help in identifying good future Buz partners.